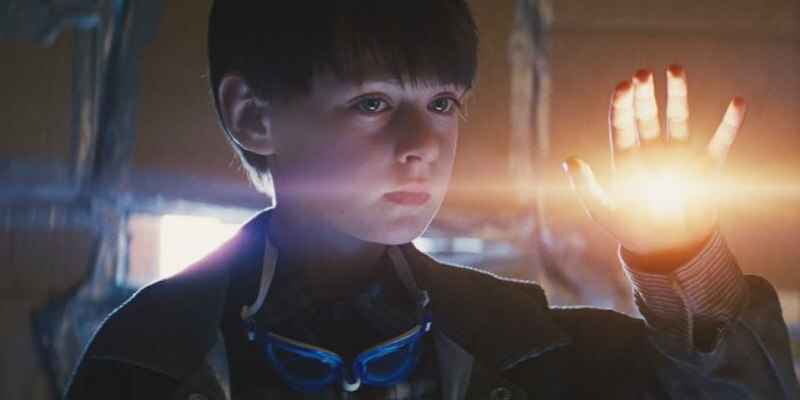 To celebrate the home entertainment release of Midnight Special, we’re taking a look at some of the most fascinating films that portray children with superhuman, god-like powers. Stephen King's debut was adapted in some style by director Brian De Palma, helping the author become a household name. Sissy Spacek is both endearing and chilling as the titular teen who discovers she possesses deadly telekinetic powers after the delayed onset of puberty. Most famous for its insane finale, which sees Carrie take her revenge on the high school kids who sabotaged her prom. When his psychic son is kidnapped by a sinister CIA organisation hell-bent on turning him into a weapon, ex-CIA agent Peter Sandza (Kirk Douglas) will stop at nothing to get him back. With the help of another psychic prodigy, Gillian (Amy Irving), Peter tracks down his son, only to discover that he’s no longer the child he once knew. Features intense chase scenes and a healthy dose of telekinesis and ESP, and early performances from Daryl Hannah and Jim Belushi. Two lovers participate in hallucinogenic drug trials to make ends meet at college, only to be granted the unexpected side effect of permanent telepathic powers. Years later, they have a child, Charlie (Drew Barrymore), who is born with terrifying “pyrokinetic” powers (the ability to spontaneously combust things with her mind). Naturally, Charlie is of particular interest to the US government, but they soon realise Charlie’s powers are not as easy to control as they first thought. Washed-up alcoholic writer Jack Torrance (Jack Nicholson) takes a job as an off-season caretaker at the isolated Overlook Hotel, in a bit to sober up and write. Jack’s son Danny (Danny Lloyd) has a telepathic ability known as “shining” and begins to see foreboding premonitions about the hotel. It quickly transpires that the Overlook Hotel has a “shining” of its own. Jack begins having encounters with ghostly apparitions throughout the hotel and slips slowly into madness, with dire consequences for his wife and son. Talented psychologist, Malcolm Crowe (Bruce Willis) feels that he is a failure when one of his patients shoots him before committing suicide. In the search for redemption, Crowe takes the case of nine-year-old boy Cole Sear (Haley Joel Osment), who, as Crowe learns, can “see dead people”. Plagued by doubts over his ability to help Cole, Crowe eventually learns a terrible truth about himself and his past. The Sixth Sense was nominated for six Academy Awards. In the wake of a global disaster known as The Ruin, society has been reduced into a series of seemingly idyllic communities. In this future, all memories of the past are held by one person, the Receiver of Memory. Teenager Jonas (Brenton Thwaites) is set to become the new Receiver, and with this gift he learns the terrible truth of his society's past, which sets him on a collision course with its leaders. After being saved from a freak accident by a hallucination known as Frank in a grotesque rabbit costume, Donnie (Jake Gyllenhaal) learns that an apocalyptic event is imminent. With Frank as his guide, Donnie embarks on a journey through life and love and ultimately learns that he has the ability to manipulate time and change destiny. Despite only just breaking even, Donnie Darko received widespread critical praise and has developed a significant cult following. Roy (Michael Shannon) is a father desperate to protect his uniquely gifted, eight-year-old son in this genre-defying thriller, which proves once again that director Jeff Nichols is one of the most compelling storytellers of our time. As father and son go on the run, an intense chase ensues as they are hunted down by a mysterious cult and a clandestine government agency - the outcome of which could bring about a world-changing event. Midnight Special is out now on Digital, Blu-ray & DVD.